No industry is immune to disruption. Even the disruptive cleantech industry can be disrupted. 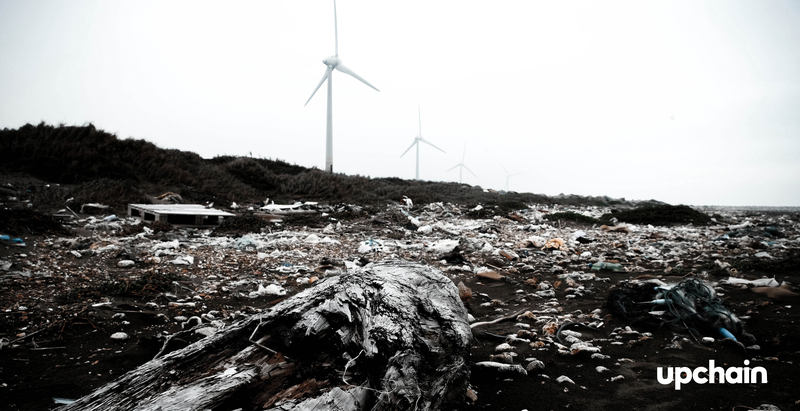 With that in mind, here are 5 threats we think cleantech companies need to watch. Cleantech is overwhelmingly focused on renewable energy, electric vehicles (EV), and converting static power grids into smart ones. And these three areas rely heavily on storing energy. Right now, our best bet is lithium-ion batteries. And as we move towards a more electric-focused society, our reliance on lithium will on increase. The growth EV alone is enough to drive a 7% increase in global lithium demand. And that’s just one piece of the cleantech puzzle. In addition to the obvious consequences of increasing demand for a strategic resource, the lithium market is effectively controlled by just three companies. 90% of global lithium is supplied by just three companies. And beyond lithium, other raw materials needed for batteries aren’t exactly easy to get. Notably, cobalt, which is usually mined in the DRC. Not a great neighborhood for a globally strategic resource to be based. We can expect to see continuing efforts to look for other ways to effectively store electrical energy. Smart grid technology and smart meters will enable better energy flow from where its generated locally to where it’s needed anywhere in the grid. New companies with battery alternatives will continue to get funding as the potential return on investment of a Li-ion alternative grows. For cleantech companies reliant on Li-ion batteries, most of these technologies are sadly too far away to be useful today. Our advice? Lock in a Li-ion supplier who you like and trust and invest in your relationship over time. China and India are not exactly what springs to mind when it comes to the cleantech. Both have enormous (and growing) energy needs, and the viability of fossil fuels makes a further investment there risky. Chinese OEMs drove 43% of EV production worldwide. At the same time, both governments continue to invest heavily in cleantech alternatives. And it’s not just from a consumption perspective. China and India are rapidly becoming innovation leaders in the world of building and deploying cleantech solutions. Continued government support, a surplus of venture capital investment, and has a burgeoning market right there makes Chinese and Indian scaling cleantech companies increasingly threaten US-based cleantech businesses. The cleantech industry requires tight software integration — a world where US innovation continues to drive the global market. Second, there is a domestic demand to counteract the Chinese / Indian local market advantage. Good, from the perspective of scaling companies. A constant problem with cleantech is lack of exit options. More major corporations mean more potential buyers. On the flip side, more major organizations make the cleantech industry more difficult to crack into. Have significant market penetration and are positioned to lock down major contracts from multinationals and governments. Can invest significant R&D dollars without fear of losing funding due to long ROI window. What’s to do be done? Scaling cleantech companies need to focus on their speed and agility. Uncover and support underserved markets where incumbents are unable or unwilling to go. Second, scaling cleantech companies, especially those looking for funding, should look beyond venture capital. Governments are more than willing to funnel cash into cleantech, but it’s up to the businesses to take advantage of their ability to deploy pilot projects that suit risk-averse government buyers. There’s particularly robust opportunity at the state and municipal level. While going green is still top of mind, it’s hardly a differentiator anymore. The expectation is that new products are energy-efficient, both to build and to operate. For B2B cleantech innovations, this manifests itself as promising operational efficiency. Both of these, however, come with a higher price point up front with long-term savings that historically, have failed to materialize. What’s more, the failed promises of older green tech, like early solar adoption, have colored new cleantech adoptions and made skeptical buyers out of consumers and businesses alike. Finally, fluctuating global energy prices mean that green technology often only holds a competitive edge for a short period of time. The cleantech industry needs to build a business case that’s independent of their clean green appeal. For B2C companies, cleantech organizations need to deliver beyond emotive value relating to green contributions — especially if they plan on breaking into the mass market. Tesla is a great example of this. While their cars are electric, the value they bring to consumers is a high-end sports car, not a car that’s going to save the environment. Likewise, few cleantech solutions are stand-alone. New batteries need devices to be used with. New EVs need batteries and charging networks. New renewable energy sources need power grids to connect to. And that’s the final challenge — how fundamentally disconnected (and often competing) companies can work together to form a new, clean network robust enough to supplant existing infrastructure. Cars are a perfect example of this. Some of these translate to EVs. But not all, especially gas stations. American consumers want the flexibility of being able to take their cars on road trips. This is the Achilles heel of the OEMs other than Tesla. American consumers want the flexibility of being able to take their cars on road trips. This is the Achilles heel of the OEMs other than Tesla. 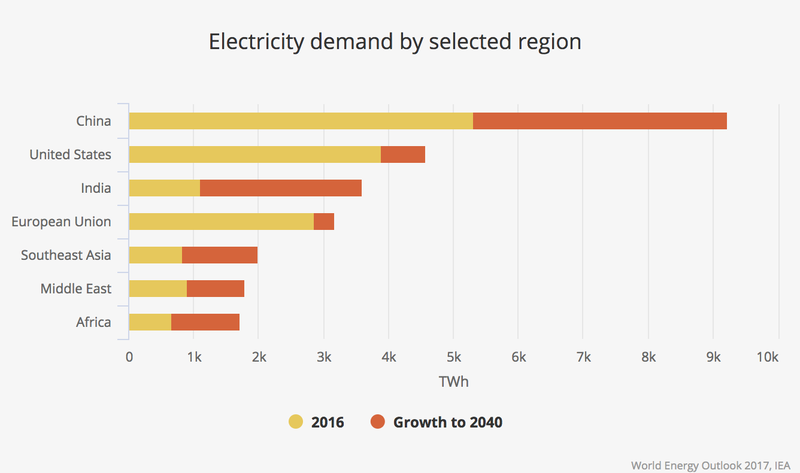 What’s more, when we look at energy demands and supply, it quickly becomes obvious that a 100% clean grid will require a delicate balancing act to match supply with demand. 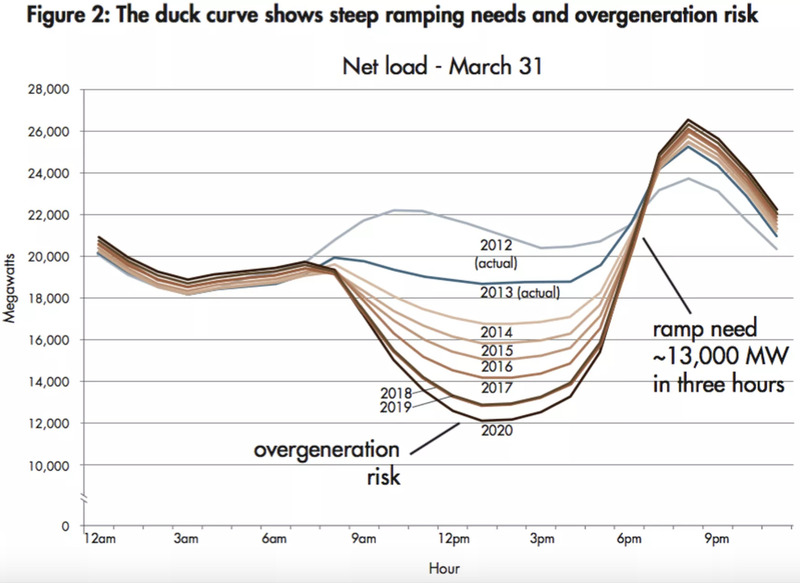 The Duck Curve of solar energy, for example, neatly demonstrates the problem with solar energy use if it’s conceptualized as a discrete rather than continuous problem. The cleantech industry can win big (especially against the onslaught of enterprise organizations) by finding partner companies to offer networked solutions. For instance, a solar panel company partnering with a plug-in EV company to put charging stations in workplaces, so people can charge their cars when they’re at work when the sun is up, rather than at night when the sun has set. By offering a networked solution, cleantech companies can increase the value they offer, without costly R&D efforts. The cleantech industry continues to grow, but it’s not a risk-free industry to be a part of. Supply challenges, foreign competitors to US companies, enterprise organizations horning in on the scaling companies’ market, are all risks that need to be considered. What’s more, the ‘clean green’ appeal holds less water, especially for consumers who have been burned by failed green initiatives in the past. But these threats are not insurmountable. Build a value-based relationship with your Li-ion supplier. Focus on high-value product creation and leverage dense software expertise found in the US. Keep your company agile. More enterprise incumbents are entering the marketplace, so it’s critical that scaling businesses stay fast and flexible to secure market share. Build differentiators that appeal to your audience’s needs, rather than playing on a clean and green value. Leverage the cleantech network. Find other organizations in the cleantech industry to partner with to deliver more value to customers without investing further in research and development.